You can control this Arduino-based robot with hand gestures. Tired of controlling your robot with a joystick? Ever thought of controlling it with your hand gestures. I wish I could control everything with my hand gestures. Sitting on a chair and controlling things like a BOSS. I loved the thought of it. So I finally came out with a hand gesture controlled robot that can follow the commands shown by hand. Sounds crazy but I promise it’s very simple. Making a gesture control robot is actually very simple. This robot is an improvement of another DIY project, an RC car using RF module. The robot is divided into two sessions, Transmitter and Receiver. 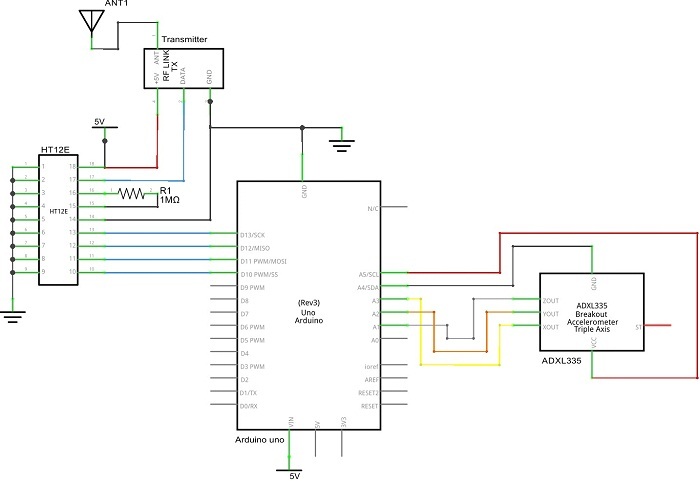 The Receiver circuit is same as the one in the RC car project and there is a slight change in the transmitter circuit. Here we need to program the transmitter circuit to send hand gestures as commands. I will be using an Arduino as the programming platform to recognize the hand gestures with an accelerometer sensor. So let’s start making. In brief, an accelerometer is a three-axis acceleration measuring device. The one used here is ADXL335 and it has 3 axes (X Y Z). The accelerometer is now there in almost all smartphones (No, we are not going to take it from a smartphone). You might have played motion games on your mobile (Eg Temple run). The character in the game moves left and right when you tilt your phone left and right respectively. It is done by the accelerometer. How Does It Recognize the Hand Gestures? The brain of the robot is an Arduino Uno(Atmega32). It is fed with a set of code. The gestures/motion made by hand is recognized by the acceleration measuring device called accelerometer (ADXL335). The one we discussed earlier. First, we will start with the power supply circuit. We need two power supply circuits. One for the transmitter and one for the receiver. The receiver circuit needs to be powered using a 12v supply (since I’m using a 12V motor). 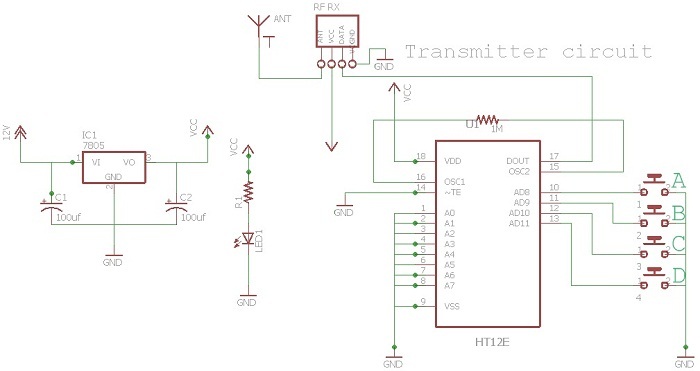 Transmitter circuit can be powered using 9v battery. Using this diagram, wire up the supply circuit. You can also add an LED via a 1k resistor to indicate the state of the power supply. NOTE: Use of heat sink for 7805 is suggested because we are dropping 7v (12-5 ). So lots of heat will be produced and could burn the regulator. The receiver section consists of an accelerometer which detects the hand gestures. It then sends the data to the Arduino. Later, the Arduino sends data to the Encoder IC in accordance with the data received from the accelerometer, and the data is transmitted to the receiver. Wire up the circuit using this diagram. Upload the hand gestures code to your Arduino. 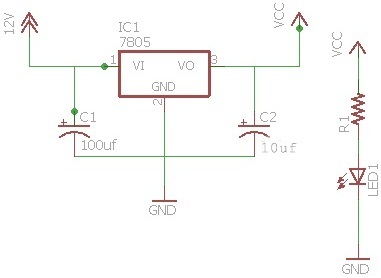 The receiver circuit consists of 2 ICs (HT12D decoder and L293D motor driver) and an RF receiver module. Wire the circuit as per the above receiver schematic. There are 2 LEDs on the receiver board. One lights up when power is given to the receiver and the other when power is given to the transmitter. 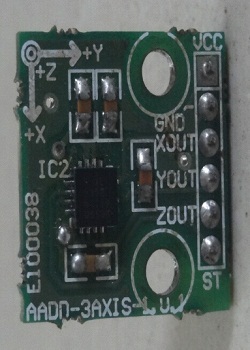 The led near the IC HT12D should be lit and this provides you a valid transmission(VT) when power is given at the transmitter. If not, there is something wrong with your connection or your RF TX/RX module. If you want to know more in detail about the receiver section, please read this article on how to create your own DIY Remote Control Car. What Hand Gestures Will the Robot Recognize? This robot is designed to recognize five sets of hand gestures. Forward, backward, left, right, and stop. 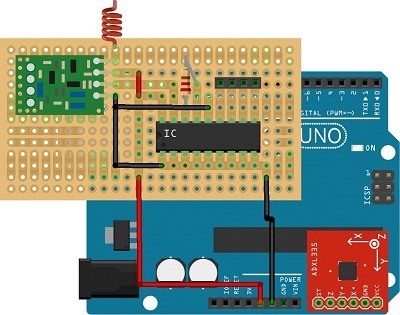 An Arduino UNO will be large and bulky on your hand. If you are deciding to make another project using the Arduino you will have to remove it and all of the connections made on it. You will lose your old work. I don’t like doing that. So I came out with a more permanent solution. You can check out my other tutorial to learn how to shrink your Arduino project. 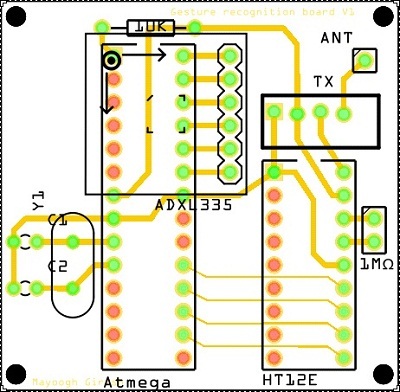 Download the PCB layout for a standalone version of the picture above. Watch this standalone video in which I have transferred the code to an Atmega8 MCU. I have only shown the outputs of MCU using LEDs. 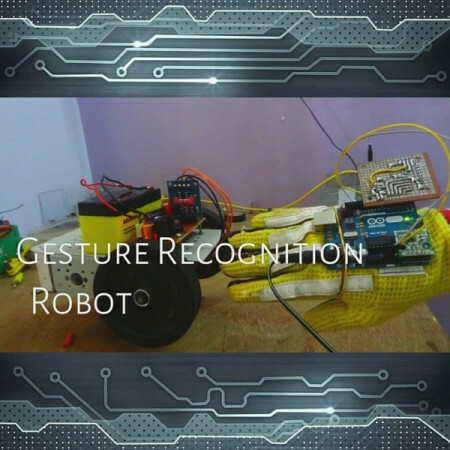 And here is a working demo of my robot controlled with hand gestures! Mayoogh Girish is a electronics engineer, and a DIY Maker by passion. He is interested in open source technology.